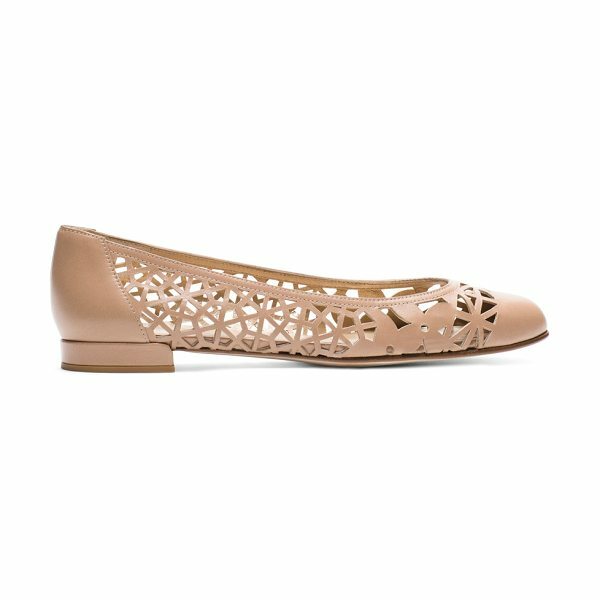 This new-season spin on ballet flats makes the cut with its intricate, all-over laser-cut design. Note the coordinating cap-toe and heel counter â€“ this punchy design, which is available in luxe nappa and calf leather, is an elegant update on the classic silhouette. Try with wide-leg pants and a relaxed silk top.